When I was checking on Google, I can’t find Bangladeshi vegetable roll. All, I find, are vegetable spring roll. Vegetable roll is the most selling fast food in Bangladesh. 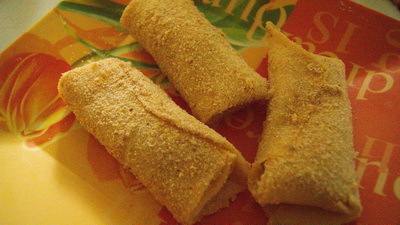 Bangladesh vegetable roll is vegetables stuffed crepe which rolls in breadcrumb. 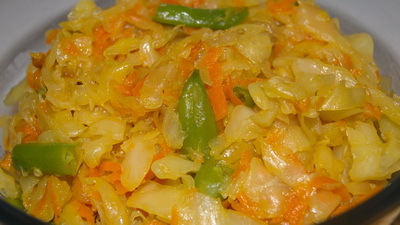 I use carrot, cabbage and bean for this. But you can use your choice vegetables. It goes really well in kid’s lunch box even for those kids who don’t like vegetables. 1. Heat the pan with oil and add onion. When onion becomes transparent, add cabbage, turmeric, bean and salt. 2. When it is about done, add chilli and grated carrot. 3. When vegetables are done, keep aside. 4. Make batter for crepe mix all ingredients and 2 cups of water. 5. Heat a non stick pan on stove and when the pan is ready, take 1/4 cup of batter (vary how big or small you want) and spread it evenly on pan (actually moving the pan in circle motion). Cook it under close lid till the edges come up and change the colour. 6. 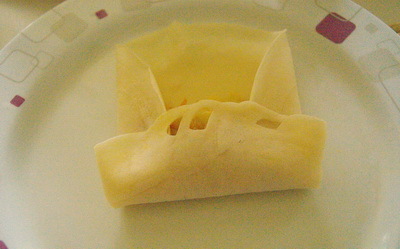 Remove the crepe from the pan and repeat the process to use the batter. 7. You will get about 11-12 crepes. 8. 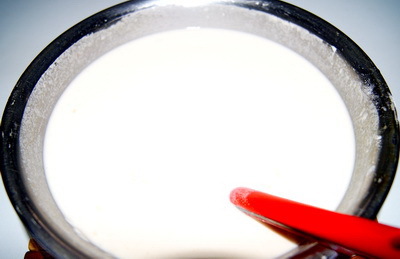 Whisk the egg with 1 teaspoon water and keep aside. 9. Place the stuffing (vegetables) lengthwise at the centre of the crepe and fold like the picture and seal with batter or egg. 10. Dip it in egg and roll it in breadcrumb and repeat with rest crepes. 11. Heat the pan with deep fry oil. 12. When oil is ready, fry the vegetable roll till it becomes golden brown. 13. 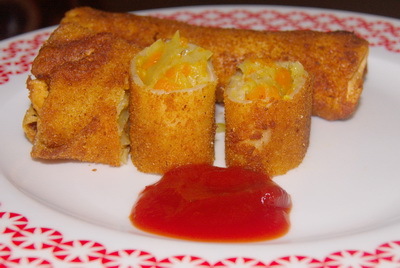 Serve vegetable roll with sauce. Tips: 1. If your crepe is breaking, you need to add little bit water to your batter. 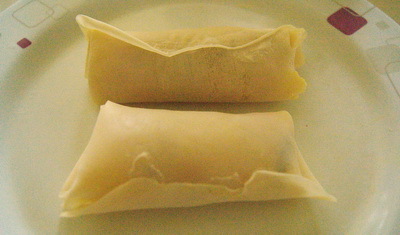 2.You can make the vegetable roll and freeze it. When you need it, take out from freeze, defrost it and fry it.